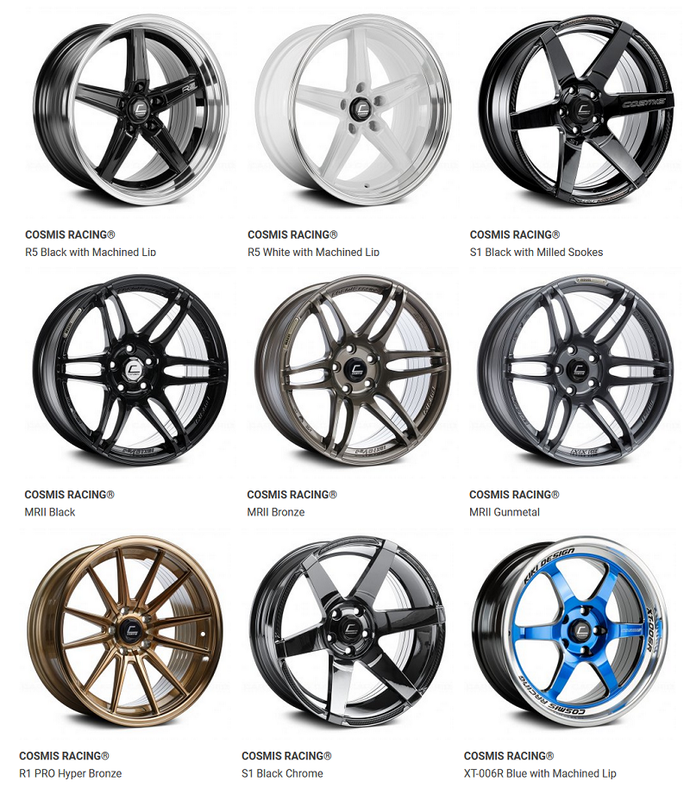 Cosmis Racing Wheels & Rims for Hyundai at CARiD.com - Must-Have! about their experiences/problems with buying automotive parts. Flow-formed racing wheels by Cosmis are made with the style, quality, and durability in mind. They are available in a wide variety of finishes and styles to fit your specific application and needs. What is more, these wheels are manufactured using the very special Cosmis flow forming technology, which ensures excellent durability and years of clean, rust-free looks. Made from premium-grade aluminum using advanced casting technology, they will easily handle harsh weather conditions day after day. The new set of strong wheels from Cosmis won't add any significant changes to the performance capabilities of your ride, yet will definitely make your driving experience more enjoyable, and the appearance of your ride - one of a kind. Hyundai All Season Tires at CARiD - wide selection! Quick Reply: Cosmis Racing Wheels & Rims for Hyundai at CARiD.com - Must-Have!